“Very peaceful and beautiful location. 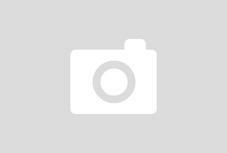 Cosy apartment with a wonderful view,” wrote one customer about this holiday apartment for three people. 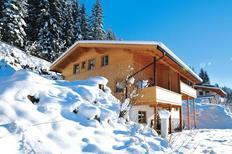 Tirol | Would you like to know which holiday home or apartment is particularly worth spending a holiday in? 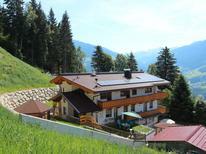 Here we'll show you the accommodation in Tirol, which has received the best reviews from our customers. Tyrol Alm hut for six people near Sölden. Ski region Sölden | The ski region Sölden situated in the picturesque Ötztal offers in total 148 piste kilometres with all degrees of difficulty guaranteeing winter fun for the entire family. Just now need a suitable accommodation? 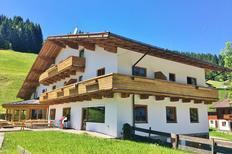 A holiday house in Tyrol costs on average GBP 749 in the cheap travel period and GBP 1,621 in the peak season per week. These details are of course in relation to the house and not per person as well as includes the obligatory additional charges. Are you interested in enjoying a summer vacation in the mountains in front of a panoramic view of the snow covered peaks of the Alps? Then head off to Tyrol! Here one can experience absolute freedom and undertake long hiking tours, go on wild rafting tours, breath in the fresh mountain air on a biking tour or discover the region with one of the summer rails. The region is ideal if you are seeking an active holiday. 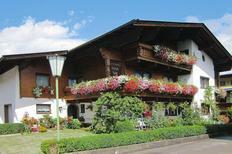 In the Austrian Federal state Tyrol atraveo offers you a selection of around 4,000 holiday apartments and houses. Tyrol is one of Europe’s most travel destinations for a holiday home vacation – and that is because of the wide choice of excellent holiday domiciles as well as the great vacation options the country provides throughout the year. During spring, summer and autumn the agenda is shaped by the possibility of enjoying an active vacation in the midst of nature and the Tyrol mountain landscape whilst the winter months provide particularly ideal conditions for an adventurous ski vacation which enthrals holidaymakers anew. 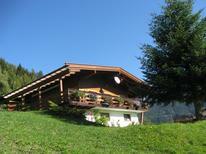 Enjoy between May and October the beauty of the Tirol Alps during a holiday home vacation. Climb each of the mountains (on foot or with the cable railway), explore the splendid nature whilst on an odd hike or organise after a nice tour with the mountain bike a nice picnic on an Alpine summit whilst taking in the panoramic views. Tyrol is especially suitable for a family vacation – and with a holiday home on a farm your children will have even more to discover. Alternatively at Lake Achen and the other Tirol lakes you can spend a nice bathing vacation in front of splendid Alpine scenery. A holiday in Tyrol though can also be one full of adrenalin: How about for example an exciting climbing tour on a mountain slope, river rafting on one of Tyrol Rivers or spectacular paragliding through the valleys? Lovely places where you can enjoy the mountain summer in Tyrol are Nationalpark Hohe Tauern, the Kitzbüheler Alps, Karwendel or Wildschönau. Also very promising are the many large and smaller Tyrol Valleys such as Zillertal, Ötztal, Pitztal, Paznauntal, Stubaital or Oberinntal. Tyrol ski regions are regarded by many as being globally the best and most popular. Whether skiing, snowboarding, sledging or cross country skiing – you will be able to spend an exciting and eventful winter vacation at the ski runs and slopes which the Tyrol Mountains offer. In the evening after a day of fun on the piste you can reflect upon your adventures in front of the fireplace in your holiday home or continue on partying at apres ski in the next town. 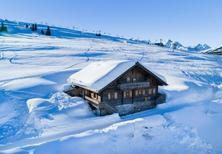 atraveo offers you a great selection of ski huts and holiday apartments in the Tyrol ski regions. Many of the huts have several bedrooms and can accommodate more people making it possible to travel as a large group or two to three families going together ensuring for an entertaining vacation. Nice winter sport regions in Tyrol include: Ski Zillertal 3000, Zillertal Arena, Silvretta-Arena, Brixental-Wilder Kaiser, Mayrhofen-Hippach, Ötztalarena-Sölden and – particularly popular with cross country ski fans – die Olympic Region Seefeld near Innsbruck. 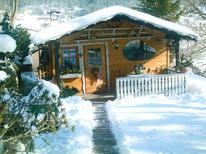 Next to mountains and valleys, Alpine summer and ski vacation Tyrol as much more to offer. Why not explore some of the attractive towns and villages of this Austrian Federal State. The Federal capital Innsbruck lures for example with its Alpine Zoo and Ambras Castle, Kufstein impresses with its historical centre and the Fortress Kufstein and in Ischgl and Kitzbühel every year nationals and international stars arrive during the winter months and turn these generally tranquil places into the hot sports of the international jet sets. Also Vorarlberg with the lovely Bregenz Forest and Salzburger Land, where the National Park Hohe Tauern is situated and die Mozart City Salzburg enticing and in close proximity.